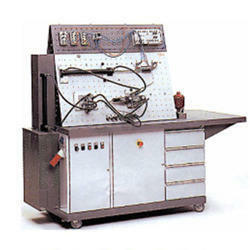 We are one of the known organizations that is trusted for offering top quality Fluid Mechanics Testing Equipment. These are developed in tandem with the latest technological advancements in the market to ensure that the end product stands high on quality and performance. 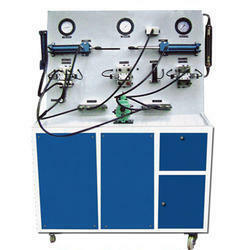 Being one of the leading manufacturers and suppliers of the finest range of Hydraulic Trainer Kit, we engage in using the finest machinery and materials in its manufacture. Owing to this, the offered range has a longer functional life and offers optimal functionality. Manufactured as per the set industrial norms and guidelines, it is of unparalleled quality. In addition, it is offered at the best rate possible. 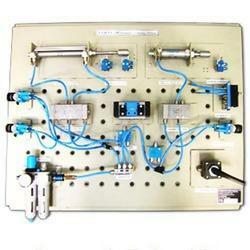 We are known to be one of the most reputed manufacturers and suppliers of the finest Pneumatic Trainer Kit. Manufactured as per the set industrial norms and guidelines, its quality never deteriorates. For the purpose of providing the best that is available in the market, we engage in using the highest grade of raw materials and modern machines in its manufacture. Manufactured in compliance with the set industrial norms and guidelines, the offered Electro-Hydraulic Trainer Kit is comprehensive and of optimal quality. The highest grade of raw materials and modern machines employed in manufacturing these products, render the product a high resistance to corrosion, superior lifespan, commendable functionality and unmatched sturdiness. The extensive profile plate permits a systematic arrangement of the components in accordance with the circuit diagram.